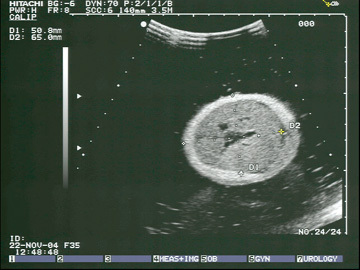 The CIRS Model 068 Fetal Ultrasound Biometrics Phantom facilitates teaching and demonstration of fetal ultrasound examination techniques in a non-stressful situation. A tissue equivalent full fetal model is suspended in a non-echoic, amniotic fluid-like environment. The phantom is housed in a rotatable cylinder. 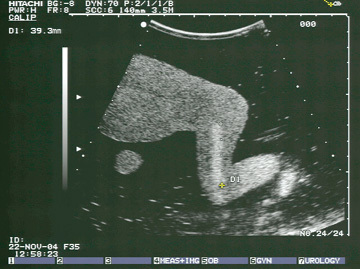 A variety of fetal/transducer orientations can be achieved for more challenging examinations. Transabdominal measurements of biparietal diameter (BPD), anterior/posterior diameter (APD), femur length, abdominal circumference and crown to rump length can be taken. All anatomies are based on published biometric data at normal fetal growth rates for a gestational age of 21 weeks(1). 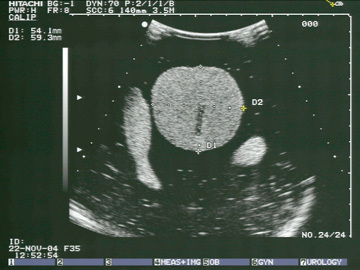 This enables assessment of composite measurement techniques and biometric analysis programs common to most ultrasound scanners. The phantom can also be used for 3D reconstructions, surface rendering and a variety of other applications. Reference: 1. Hansmann, M. (1985) Ultrasound Diagnosis in Obstetrics and Gynecology,Springer, Berlin. To see our full line visit our main website.